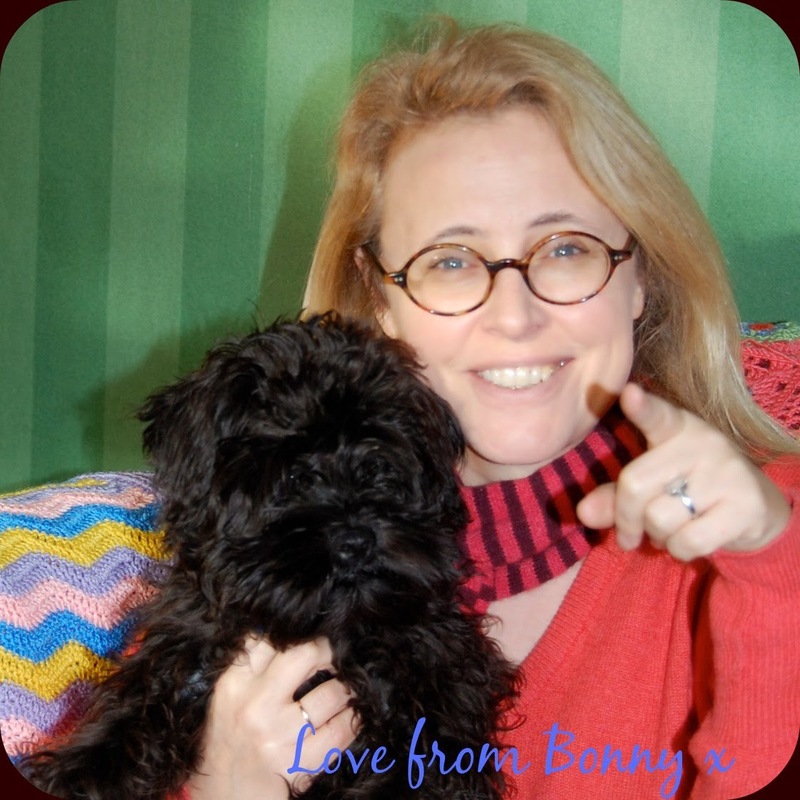 Now that the sun is shining, the sap is rising and the skies are blue I thought I'd make a list of my top 5 dog walks here in sunny West London. Yesterday, in the glorious spring sunshine, we managed a quick jaunt over to Chiswick House, which is one of my favourite places to go for a walk. Let me be clear on this one: I totally, absolutely, love the gardens there. 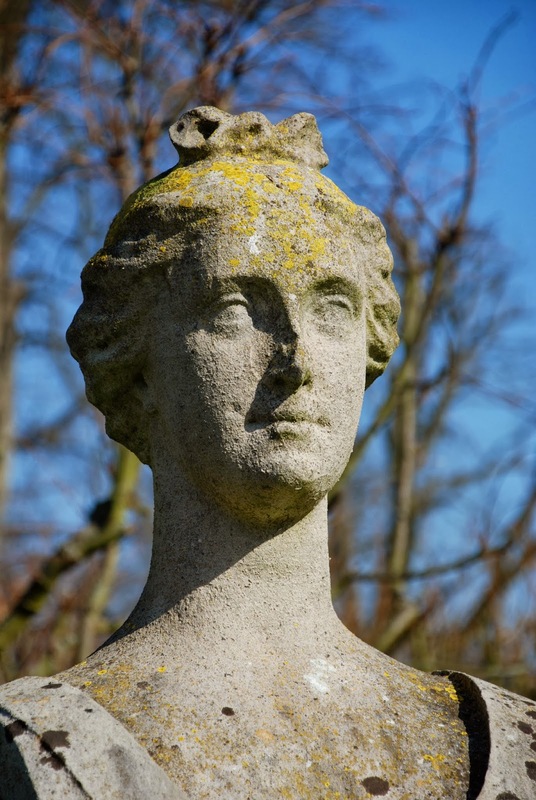 I love the contrived formality of their statuary, I love the pretty lake with the woodland walk and the modern cafe, where they make great cappuccinos and leave out bowls of water for the dogs. I love that everyone else is there with their dog, and I love that they make it really clear where the dogs are allowed to go and when they're supposed to be on a short lead, a long lead or are free to go rollicking around at their whim. It's brilliant! The villa, finished in 1729, was built by Lord Burlington to show off his art collection and act as a venue for some stonkingly good soirées. As originally conceived it had no bedrooms. Its sole raison d'être was to function as a party palace. 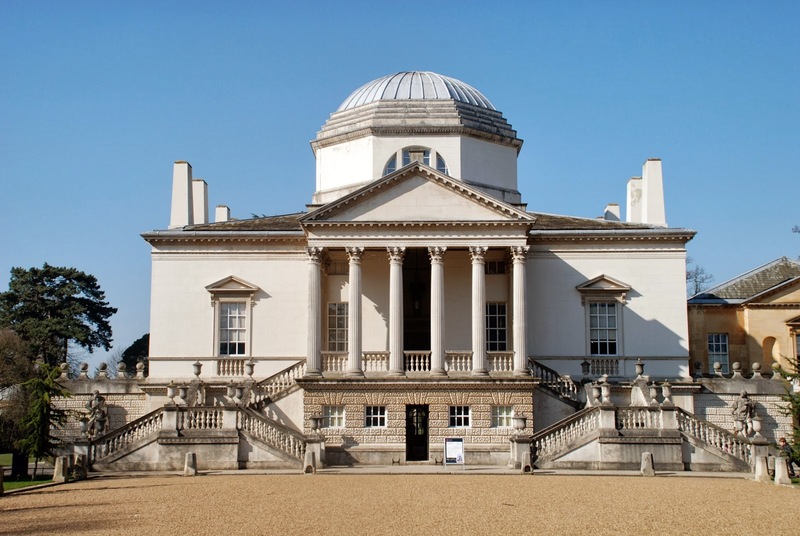 His Lordship had been on the Grand Tour, fallen in love with the work of Andrea Palladio, and then decided to build Chiswick House as a homage to the Master. He set to work with William Kent, and they created the villa with its beautiful gardens, out of which the English Landscape movement was born. Lord Burlington was also a great admirer of the seventeenth century architect, Inigo Jones. 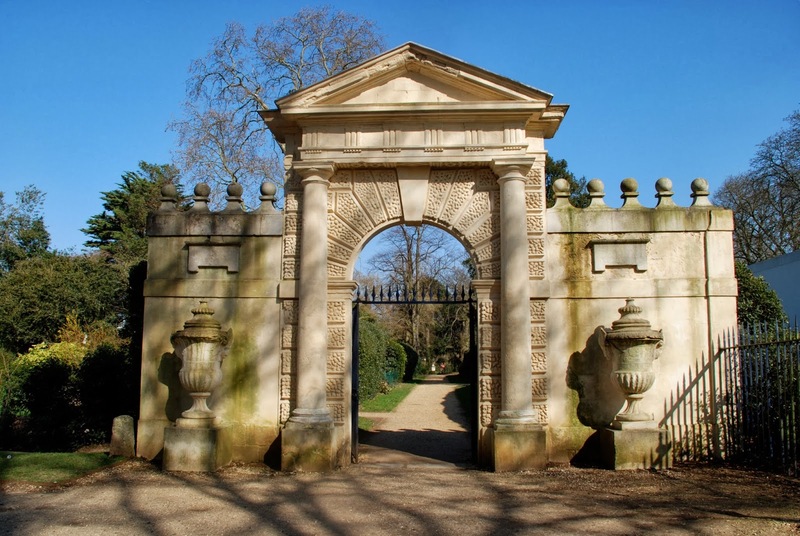 In 1738 he acquired this gateway that had been designed by Jones for Beaufort House in Chelsea. It was re-assembled here at Chiswick and now leads grandly out to the Italian Garden. Did you see the Duchess starring Keira Knightley and Ralph Fiennes? 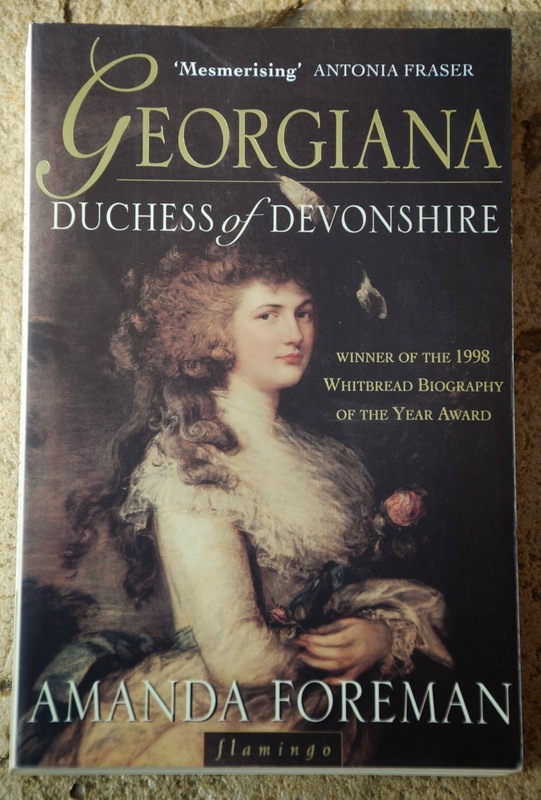 Maybe you've read Amanda Foreman's brilliant book about Georgiana, Duchess of Devonshire, on which the movie was based. Well, this is where Georgiana held her very best parties. Back then they built wings with sleeping accommodation so that they could stay overnight, but these were knocked down in the 1950's to bring the building back to its original form. 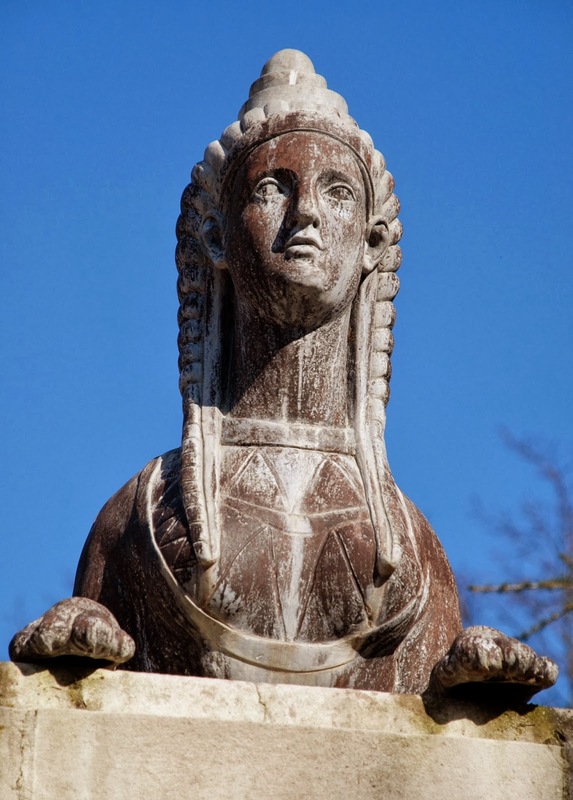 Georgiana described Chiswick House as 'my earthly paradise'. 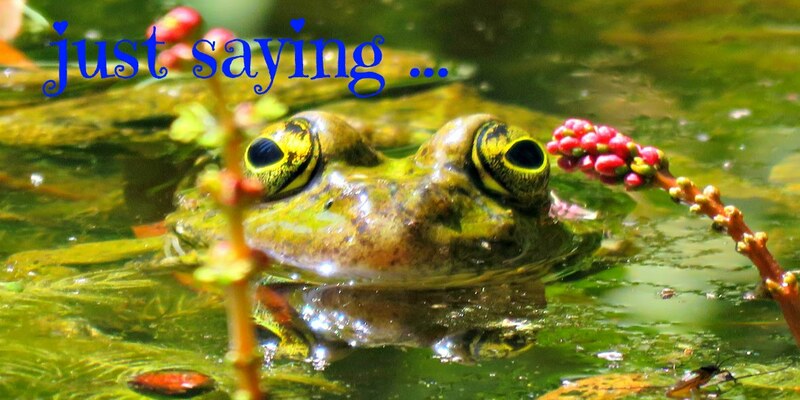 Walking around yesterday in the sunshine I saw exactly what she meant. There were loads of other people and their dogs gambolling around enjoying the opportunity to swap their overcoats and scarves for flip flops and T-shirts. The lovely weather was infectious and everyone seemed to be in a good mood. We ambled around the lake, crossing Georgiana's classic bridge, built by her husband, the fifth Duke. Did you notice the little coots building their nest in front of the bridge? 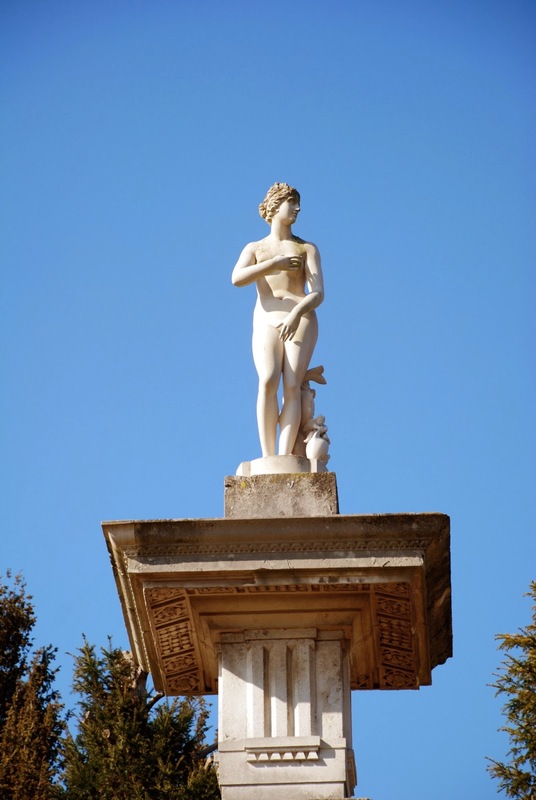 Georgiana's son, who became known as the Bachelor Duke when he failed to take a wife, built the magnificent conservatory and the Italian garden when he inherited the estate from his father. The Bachelor Duke was an avid camellia collector, and if you visit during the month of March you can go and visit his historic collection of camellias while they are in bloom. I have written more about the Camellia Festival here: Camellia Festival. I always enjoy the contrast between the formality of the statue lawn bounded by the Exedra hedge, and the informality of the landscaped parkland dreamt up as a more perfect version of the natural world than Mother Nature ever conceived. ... to the sculpted Terms in the inner courtyard. And then in the quiet moments, when my family race on ahead without me, I enjoy letting my imagination run free to conjure up some of the splendid parties that happened here all those years ago. The Prince of Wales (later George IV), the Shah of Iran, two Tsars of Russia (Alexander I and Nicholas I), Queen Victoria and Prince Albert, the Kings of Prussia and Saxony and an assortment of Whig party big-wigs have all wandered idly here in the sunshine of long-forgotten summer afternoons, smelling the flowers and admiring the views. Musicians have played for their entertainment, the most exquisite delicacies have been laid on for their consumption, garlands of flowers have been woven through the branches of the trees and exotic animals have been imported for them to marvel at. And sometimes, when you're here late on a summer evening and there's a hint of dusk dropping down on the quiet air, you can almost catch the echo of their laughter: a ripple through time from a lavish soirée all those years' ago. The closest underground stations are Chiswick Park and Turnham Green. If you come by car there's a convenient car-park just off the A4. It's pay-and-display and, from experience, the traffic attendants are pretty quick to give you a ticket should your time run out. They also get a bit twitchy and ticket-tastic if you don't park in one of the outlined squares. Parking on the grass or the cobbles is a no-no unless you're in the business of collecting parking fines. Here's the info sign so that you can come with the right coins to pay the meter. Wow, that's quite a visit! You are so lucky to be able to just go over whenever you want to hang around there. Thank you for a nice tour.